Wide opening—11`` x 5``— makes trash disposal easy. Lift-off design for easy emptying. Galvanized steel liner. 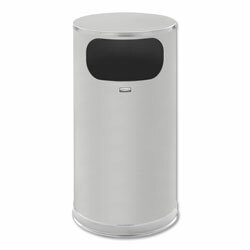 Silver Outdoor Trash Cans from Rubbermaid! 34 In Stock today.